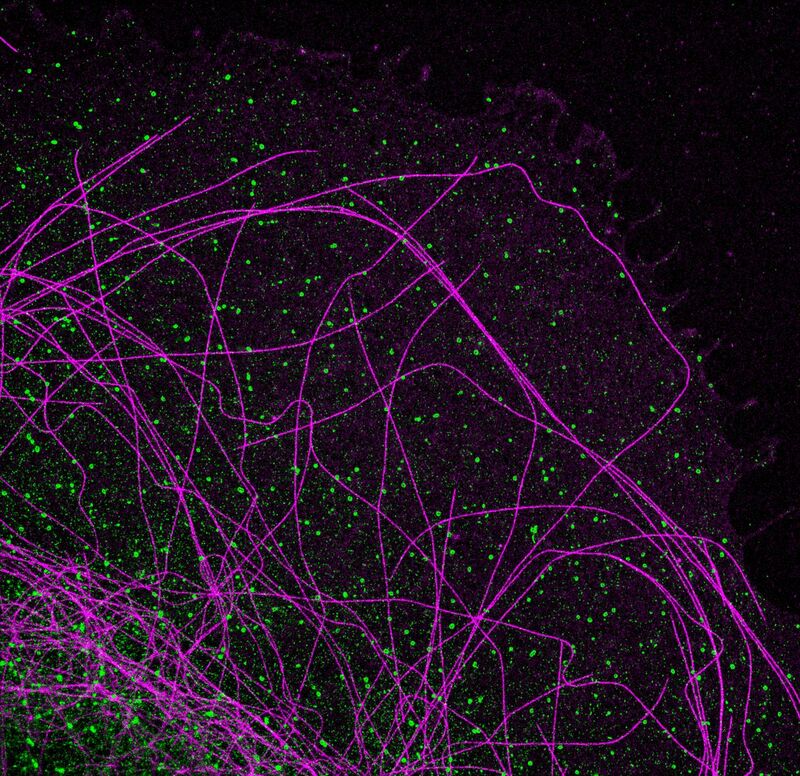 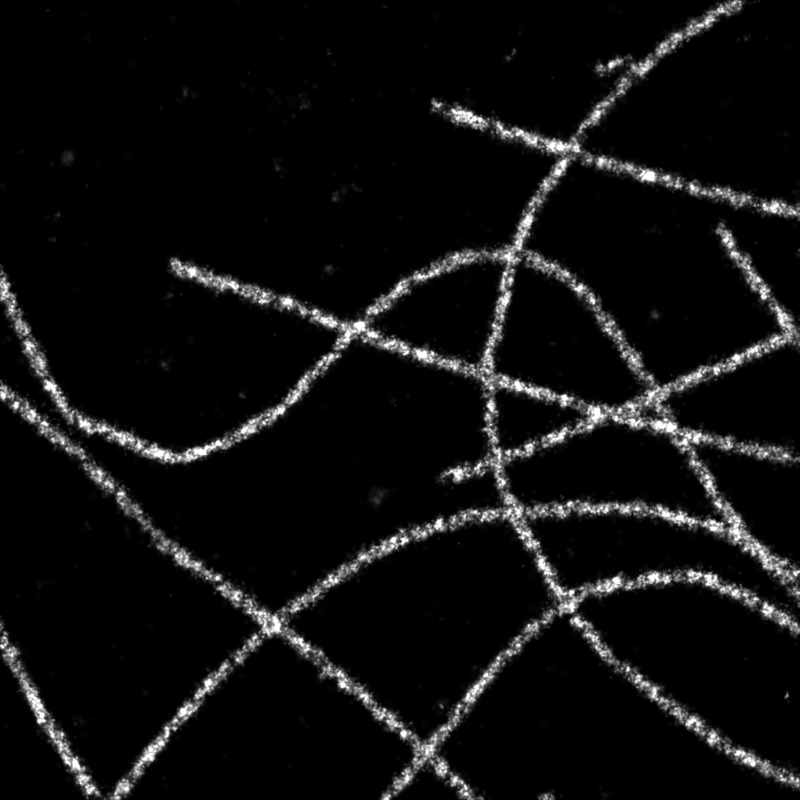 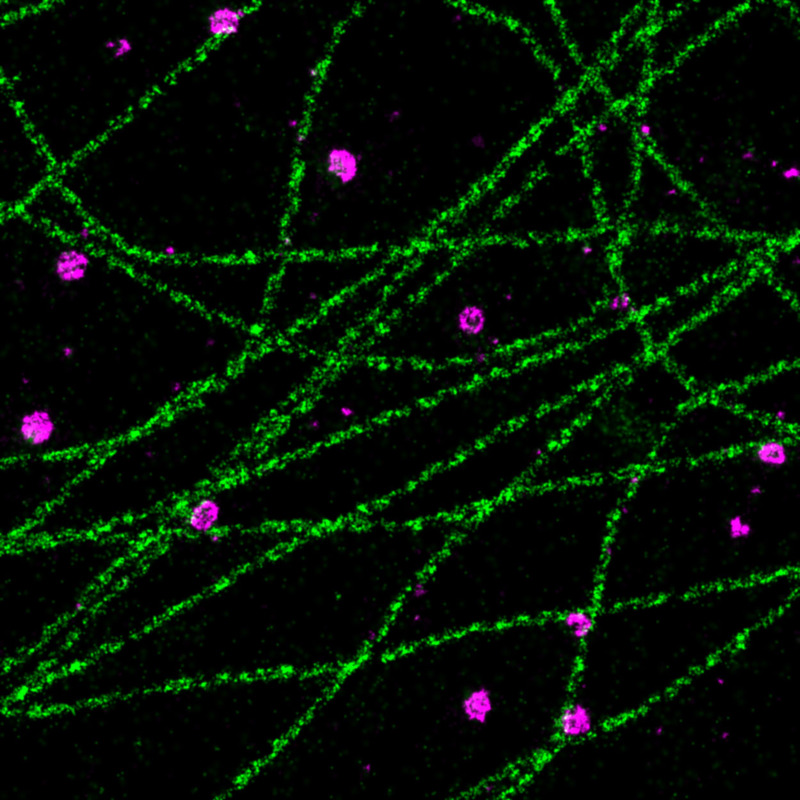 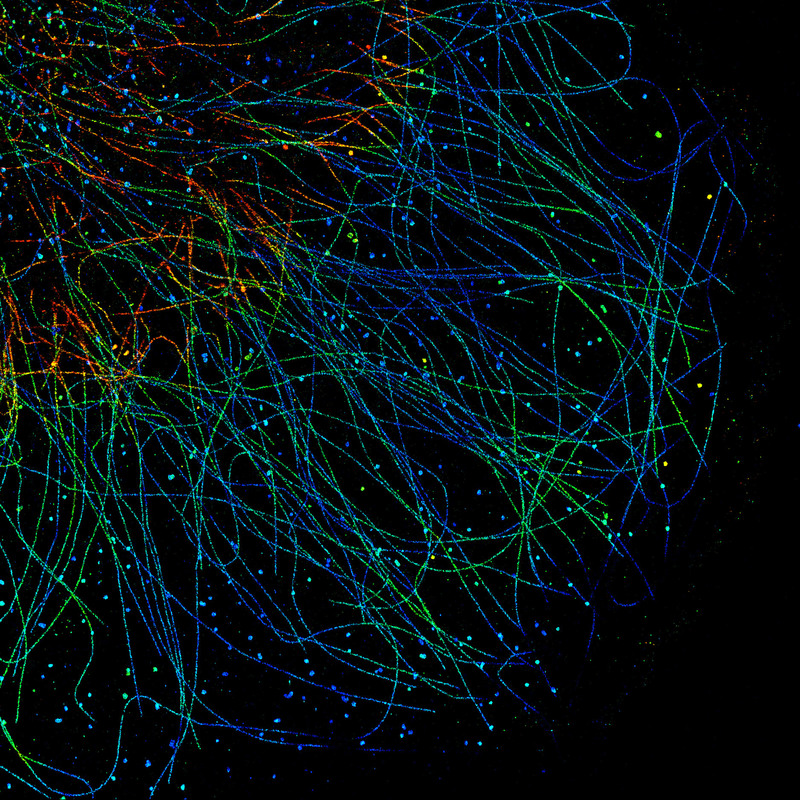 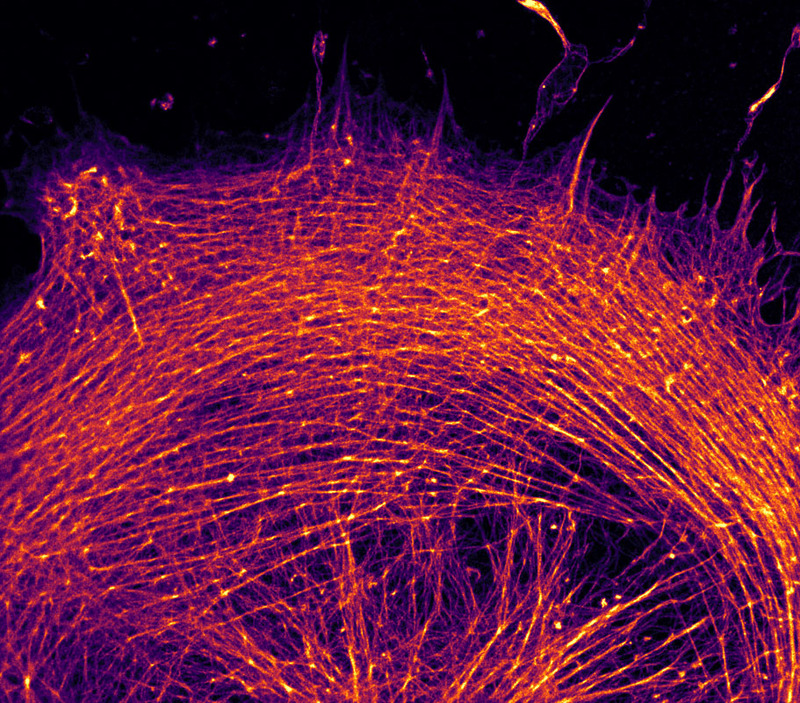 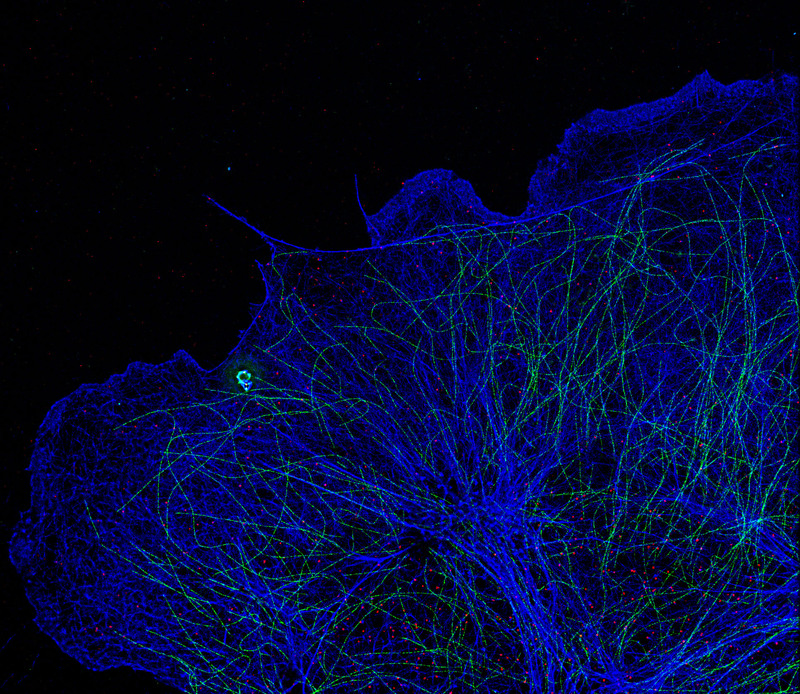 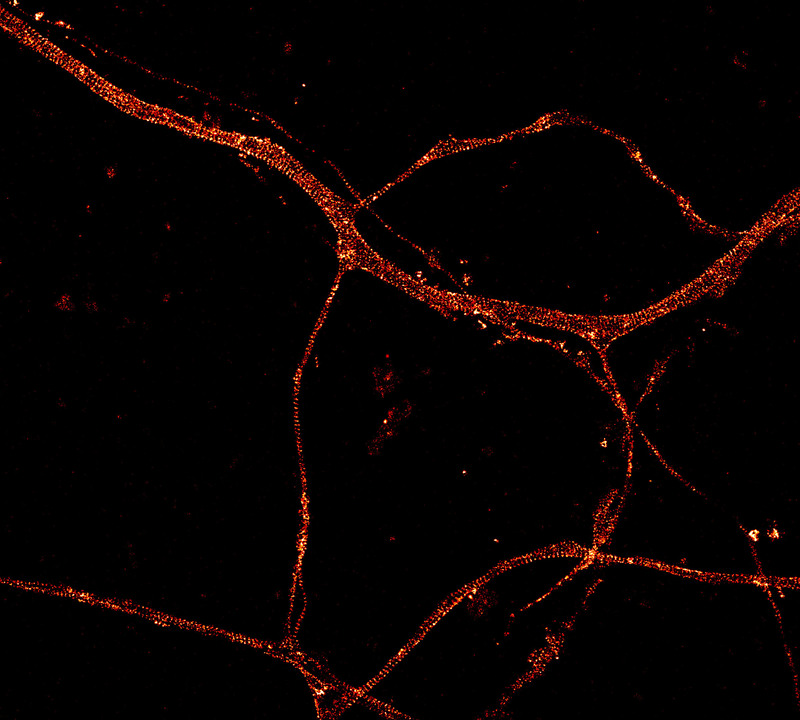 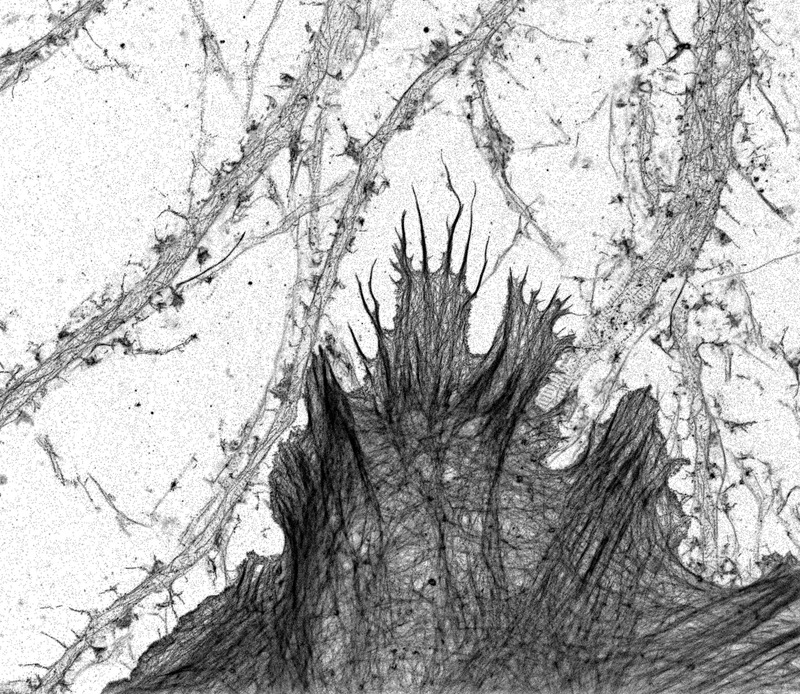 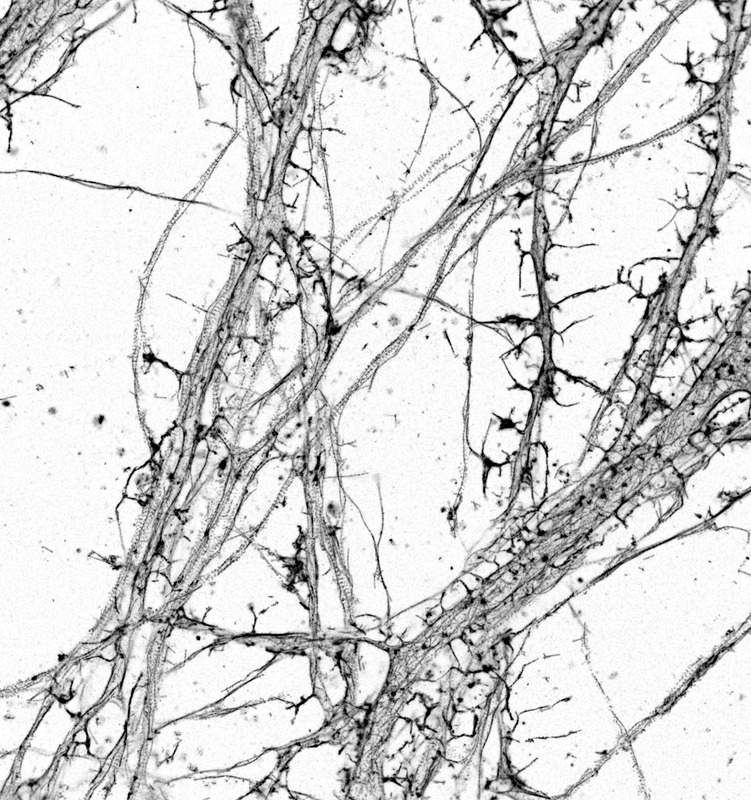 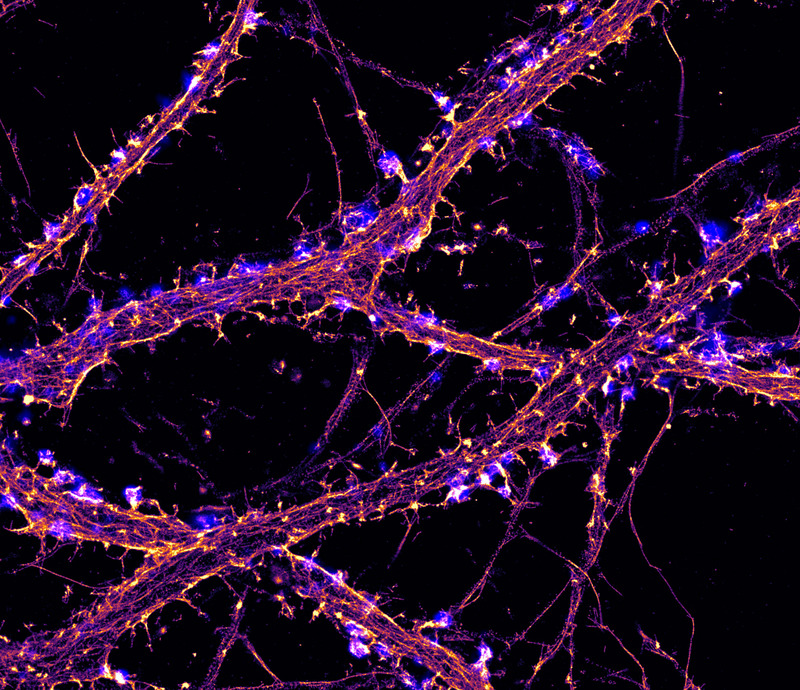 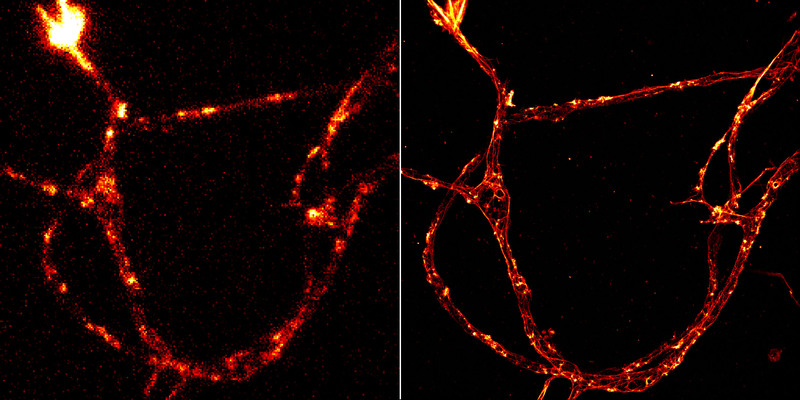 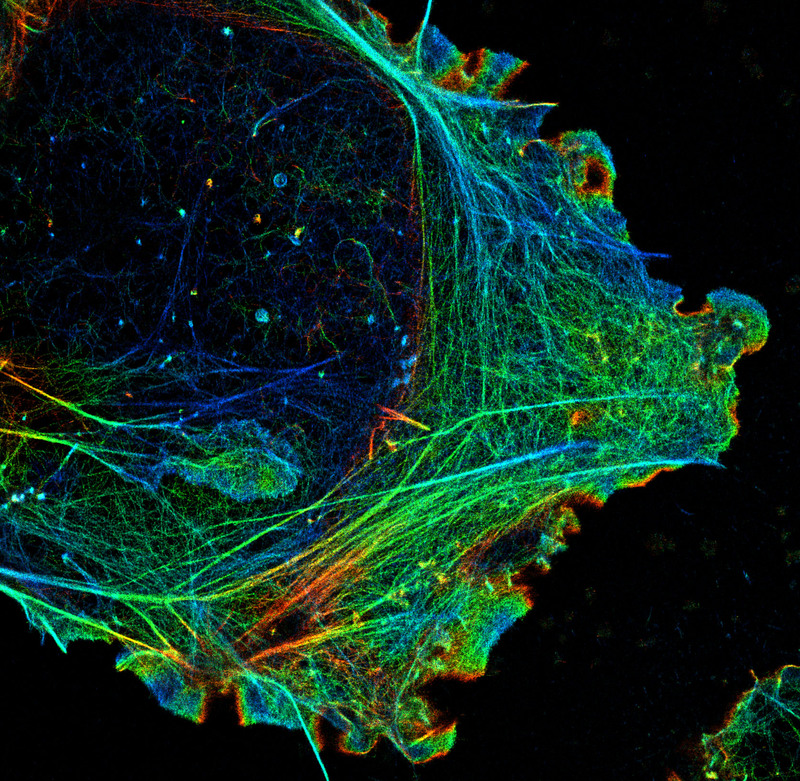 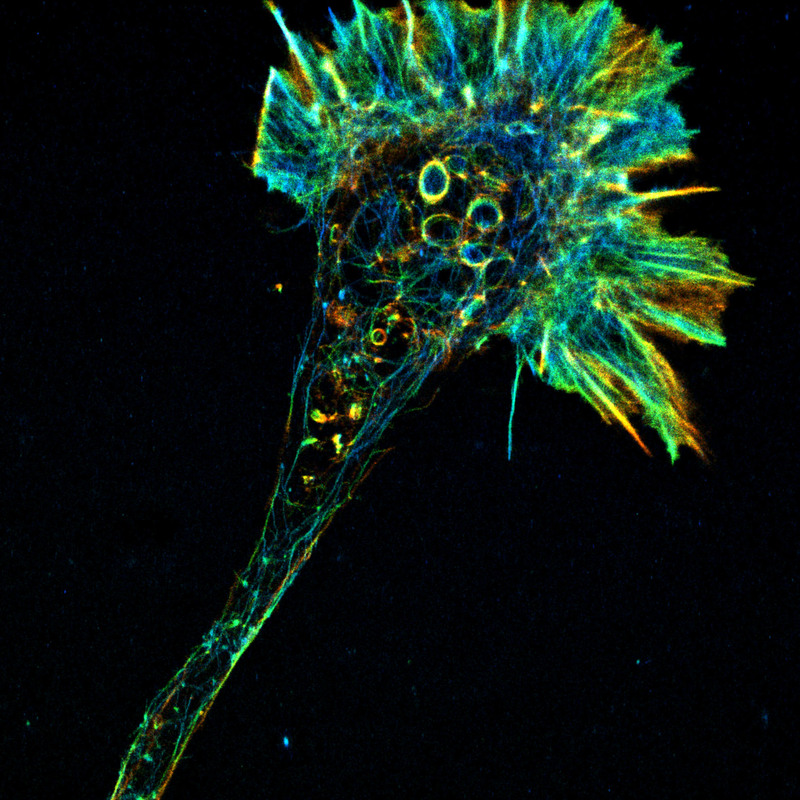 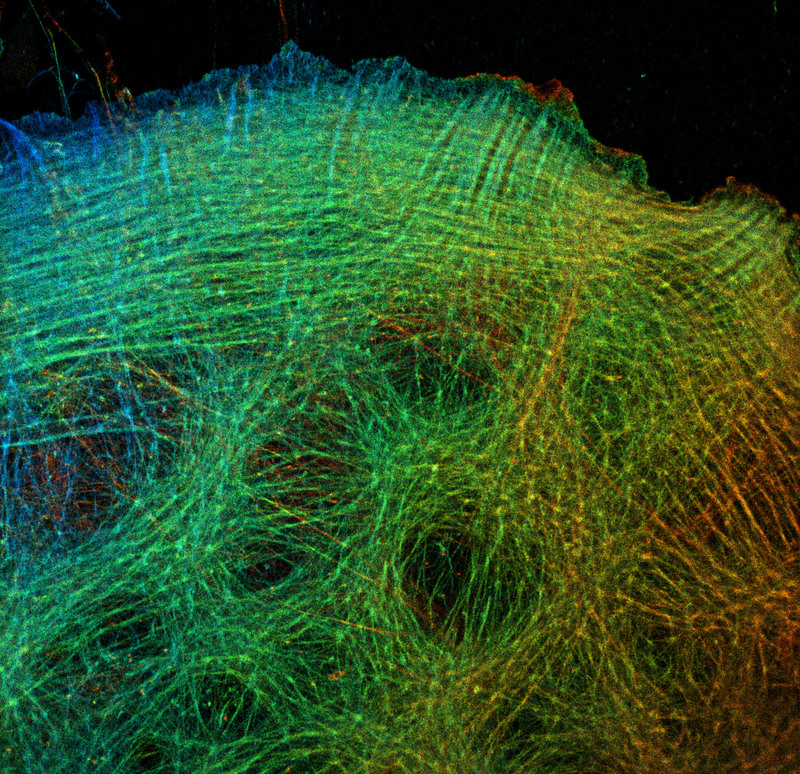 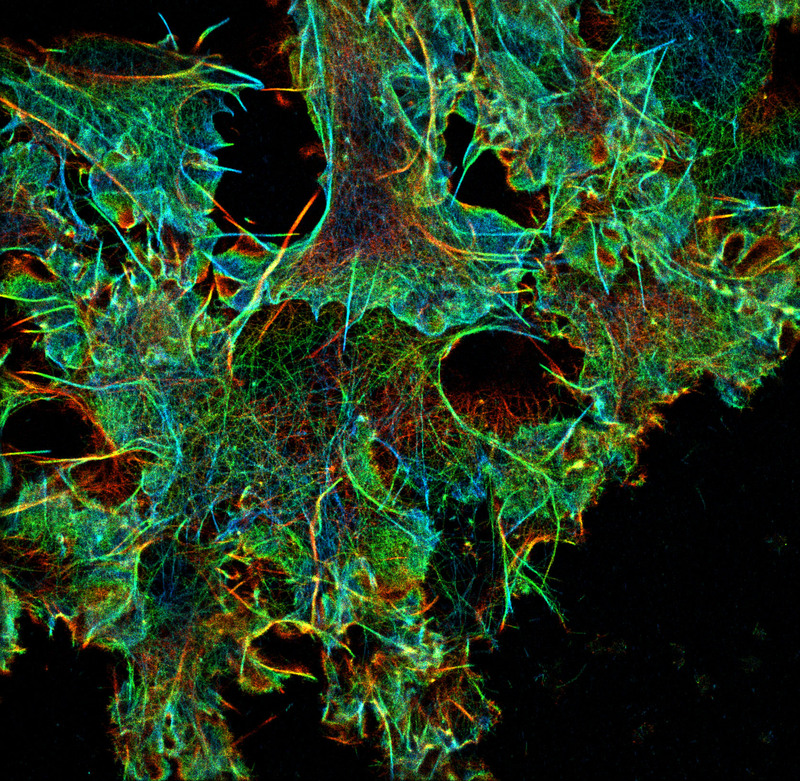 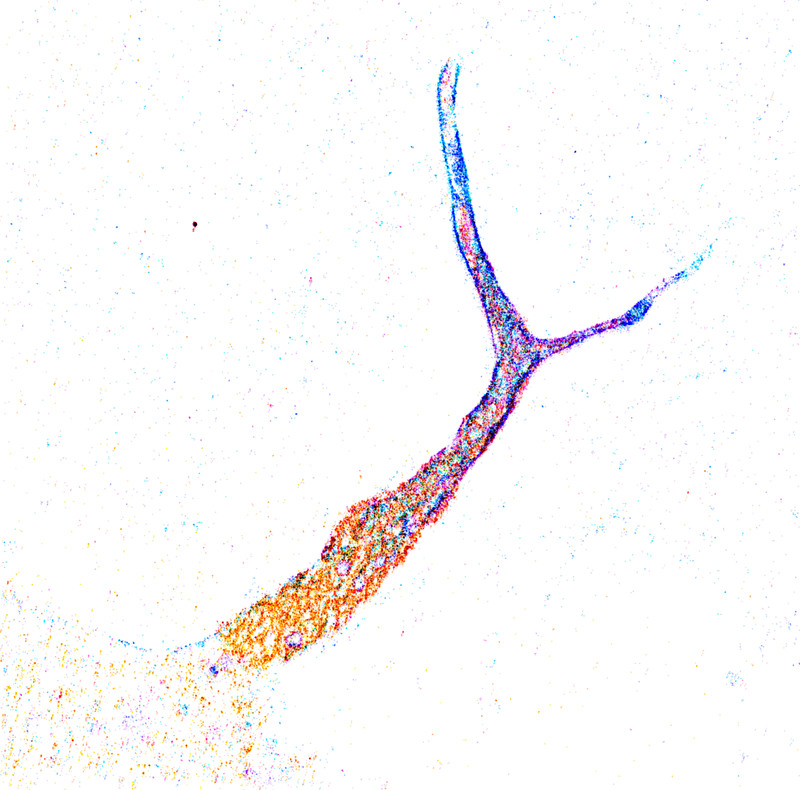 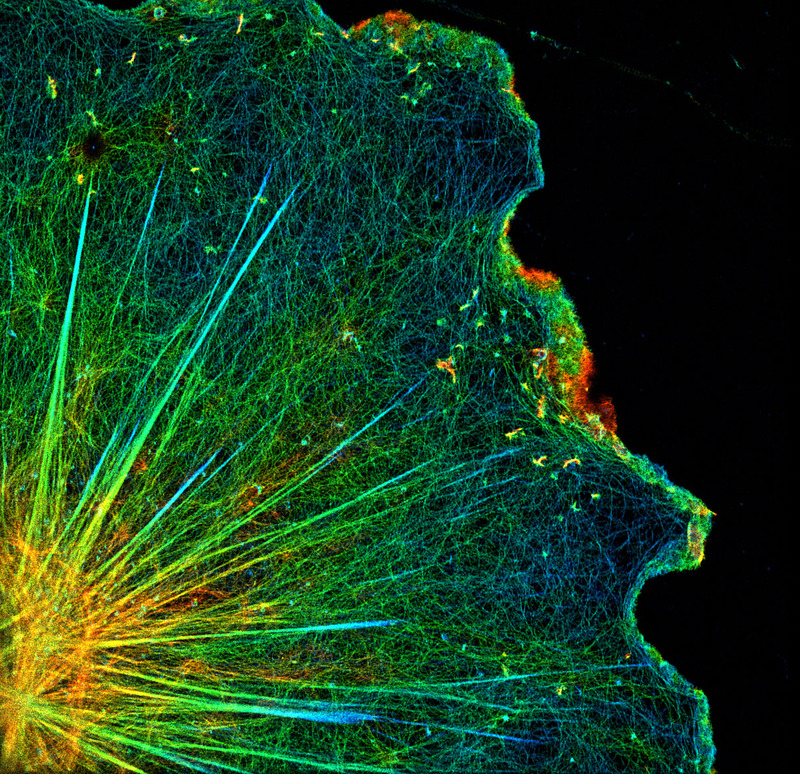 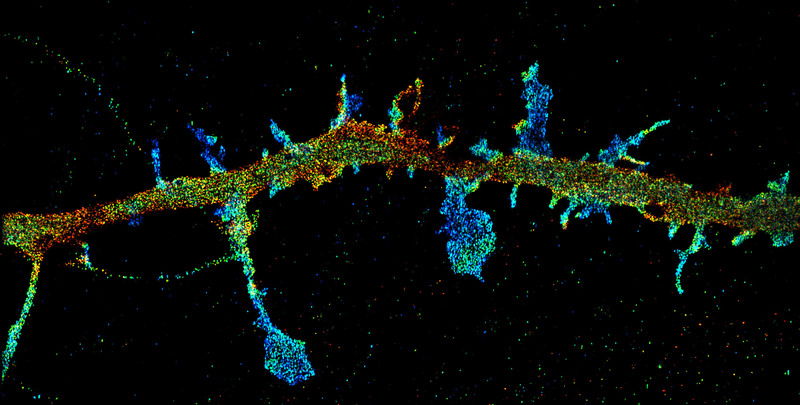 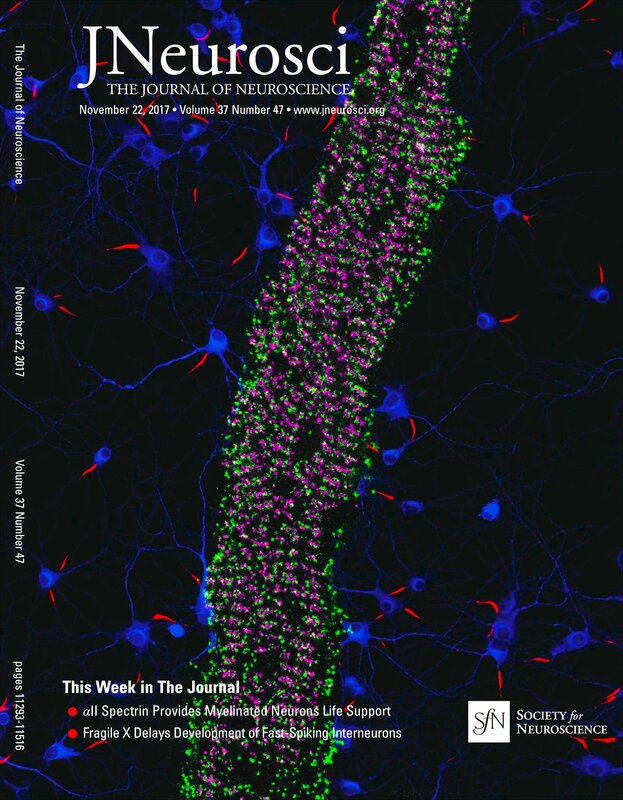 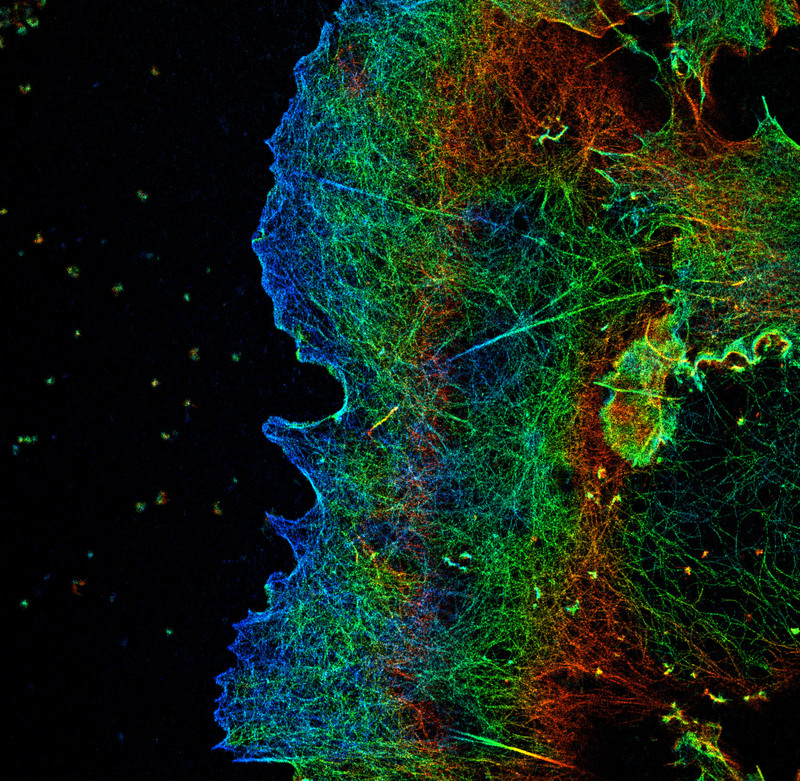 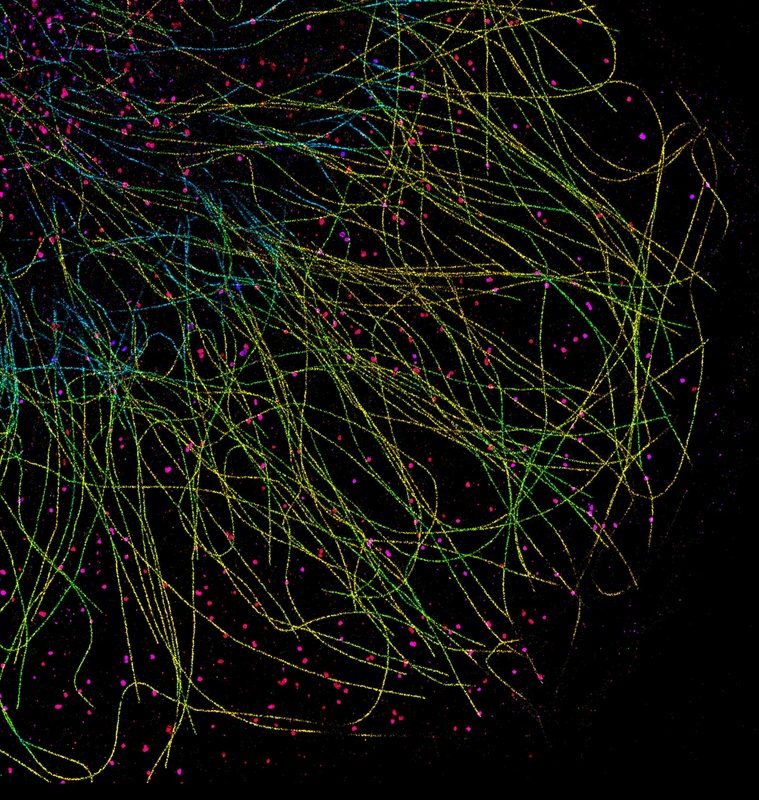 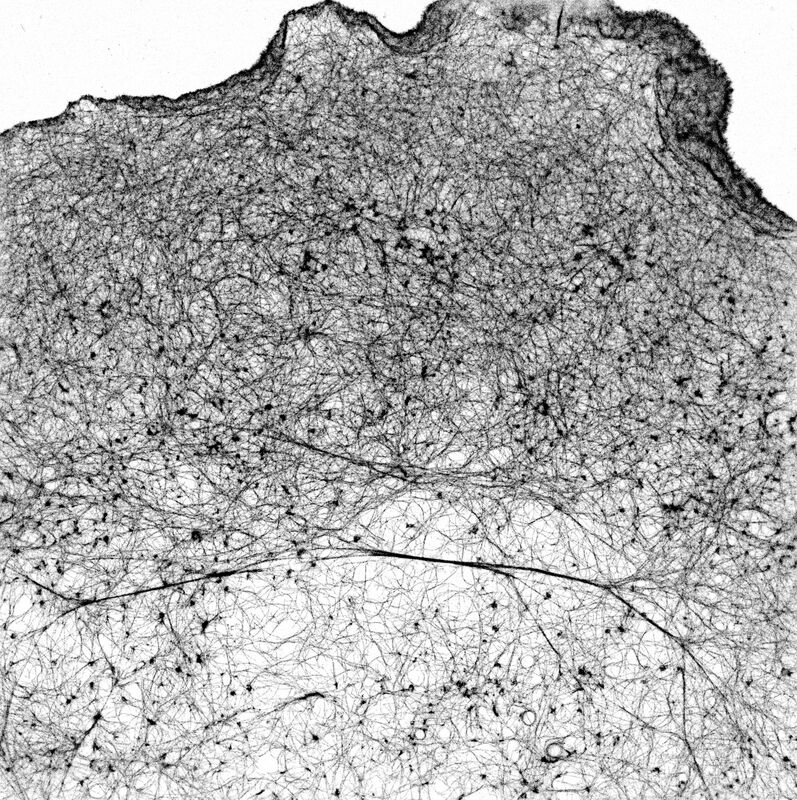 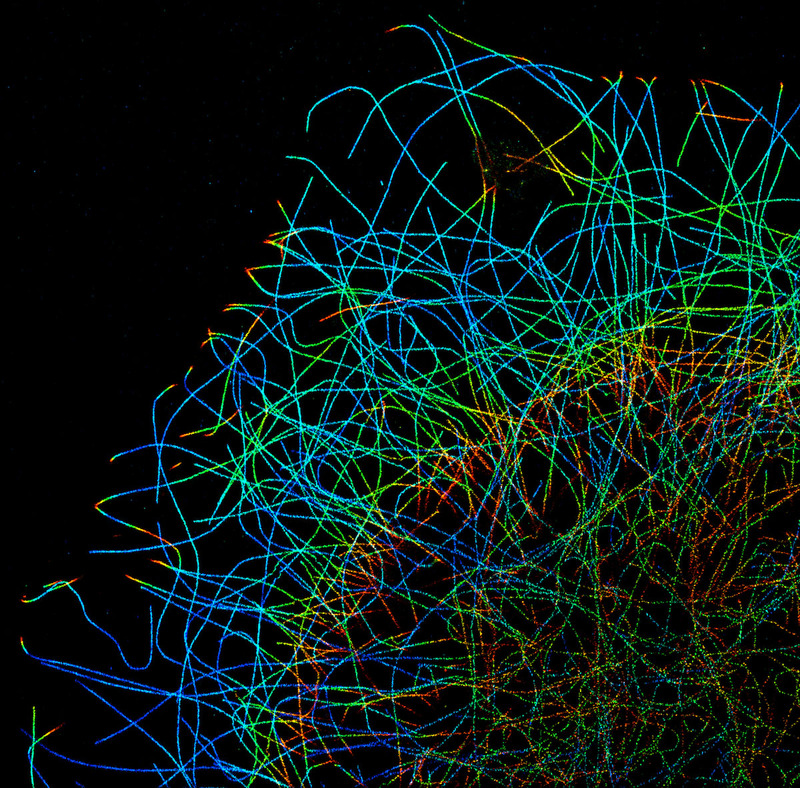 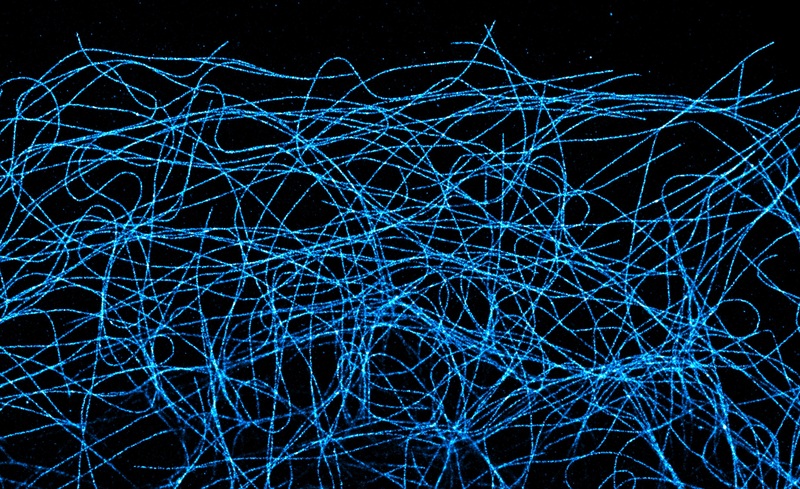 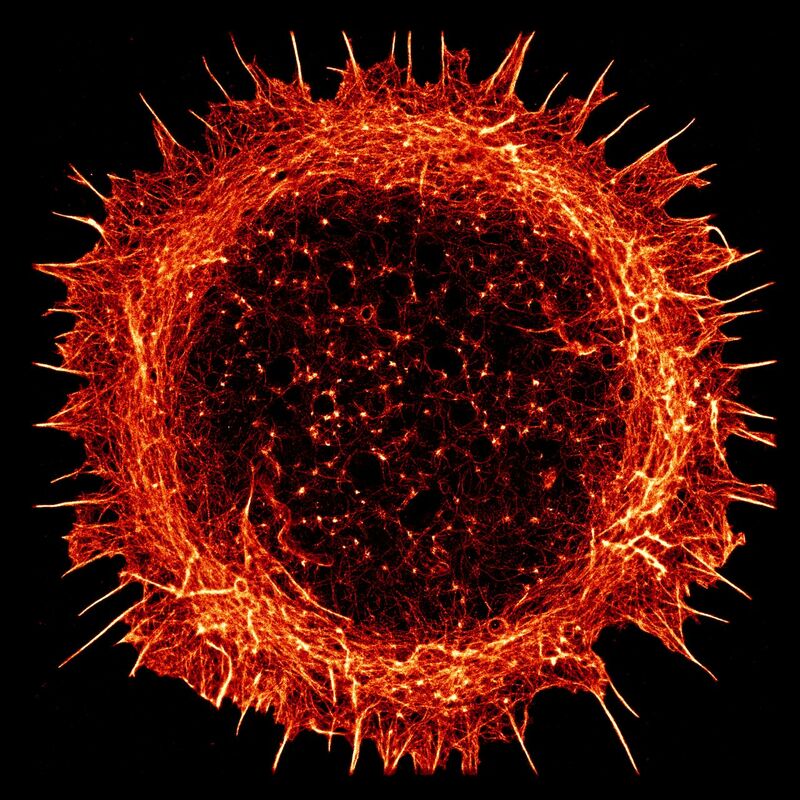 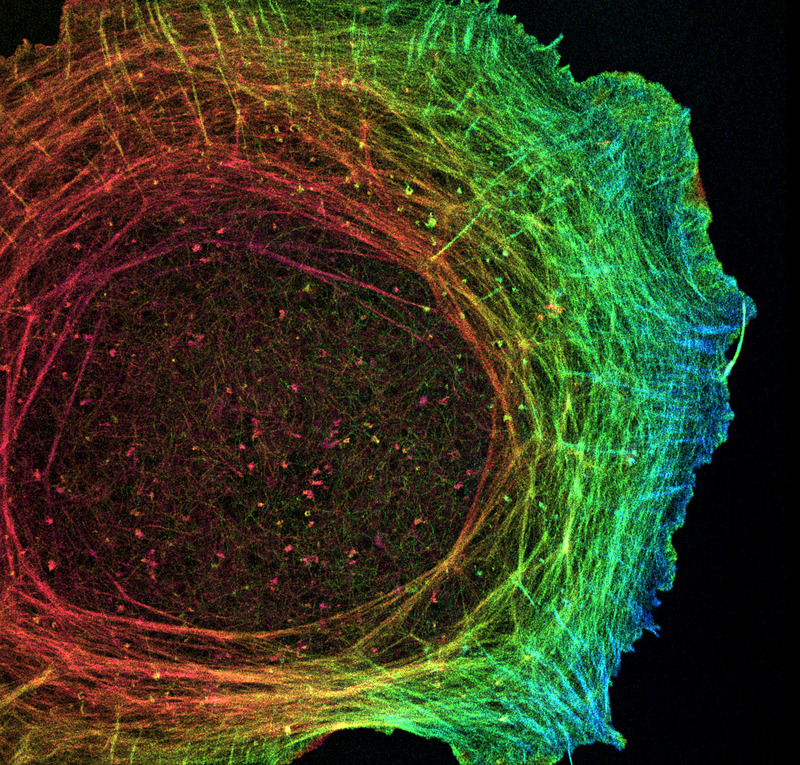 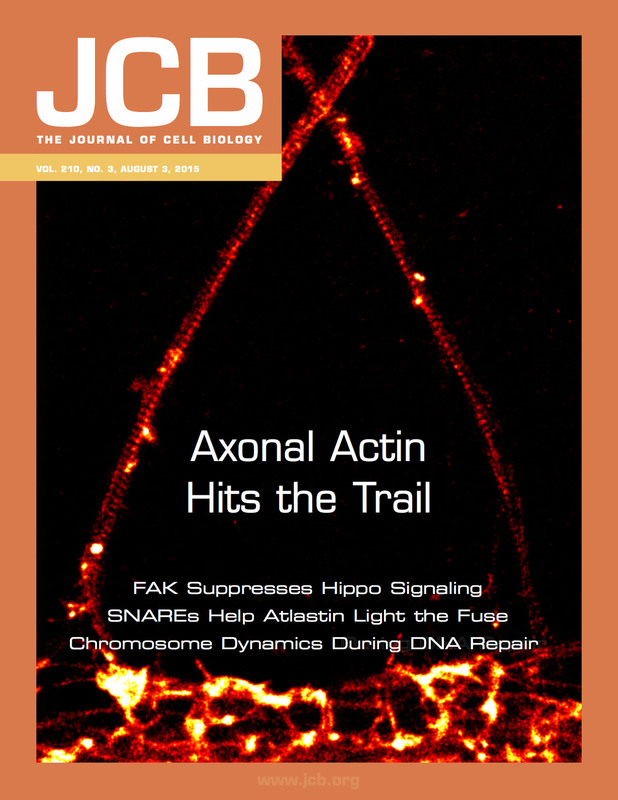 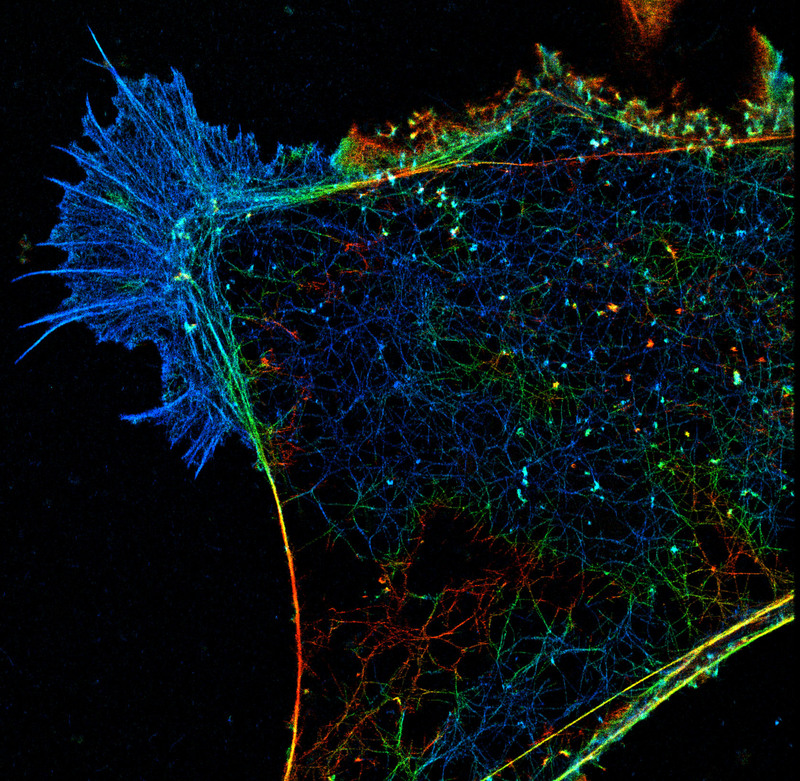 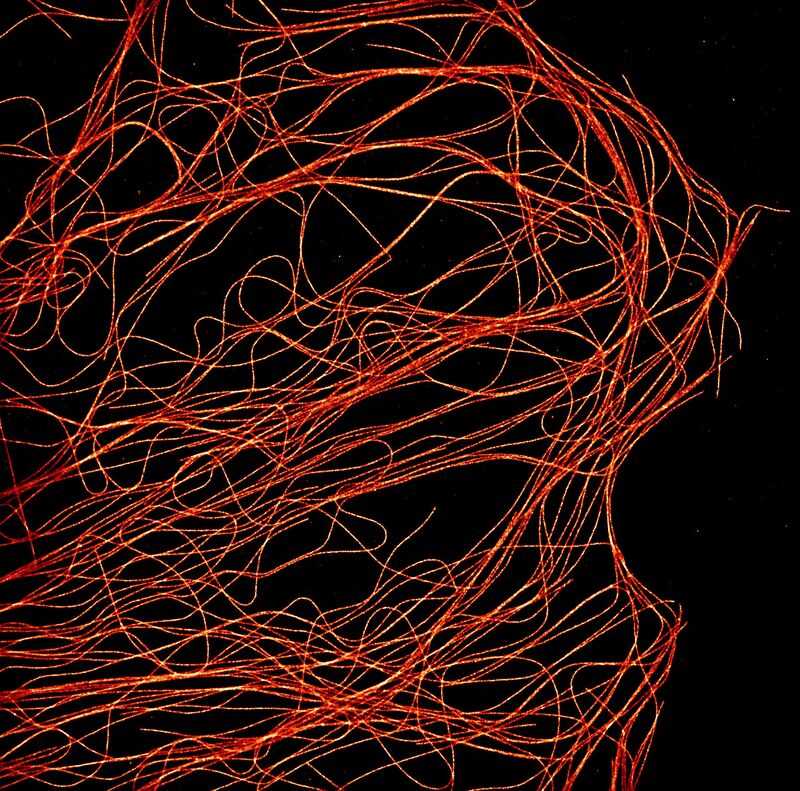 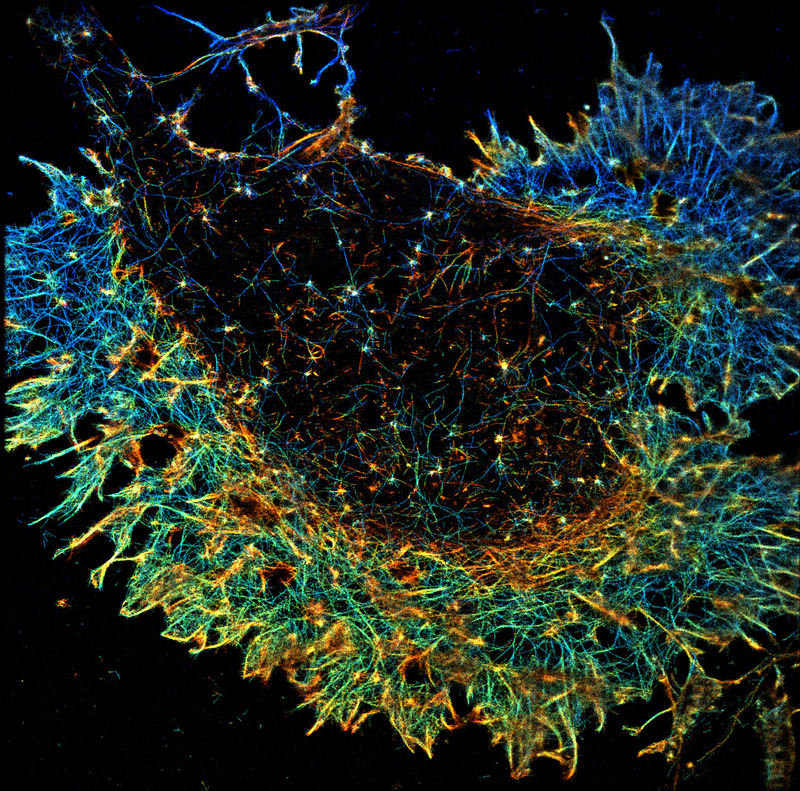 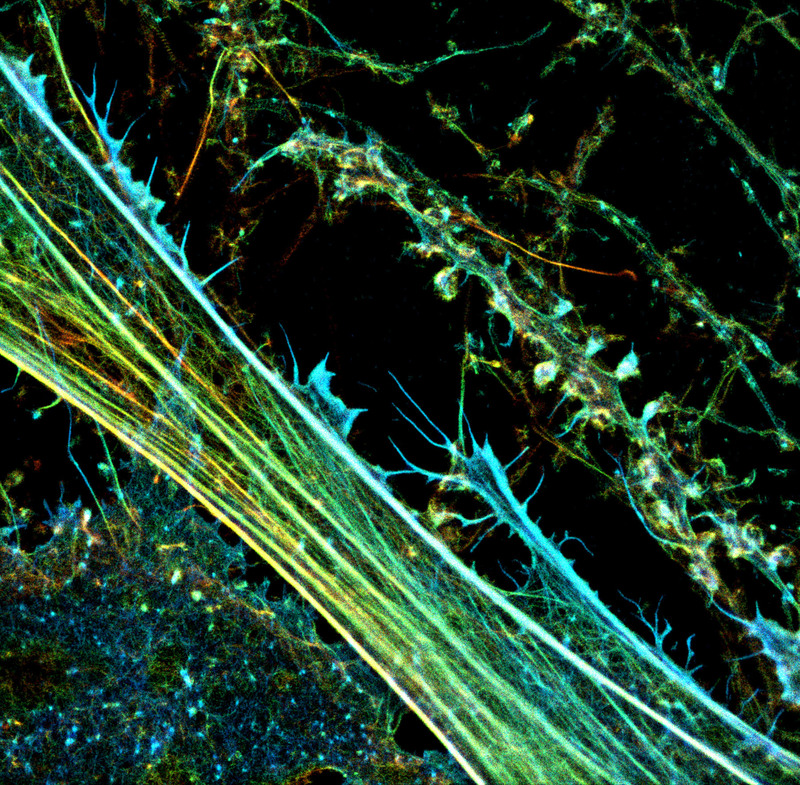 Cell cultures spread on coverslips are useful to detail the intricate architecture of neurons. 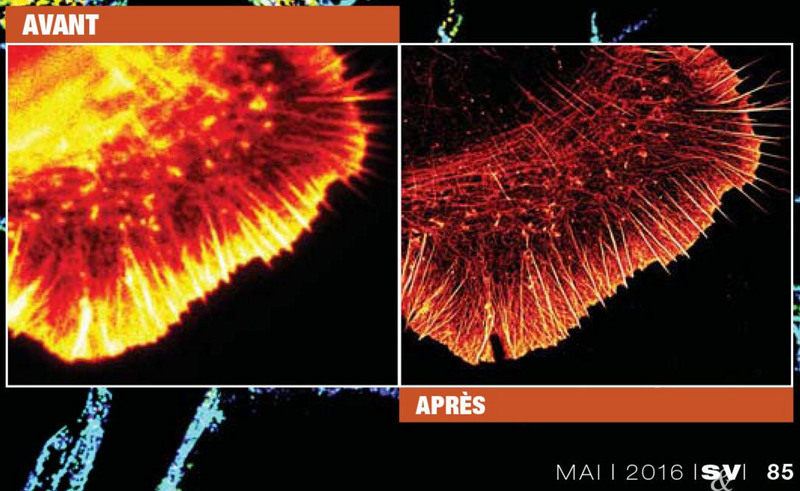 They can also be beautiful! 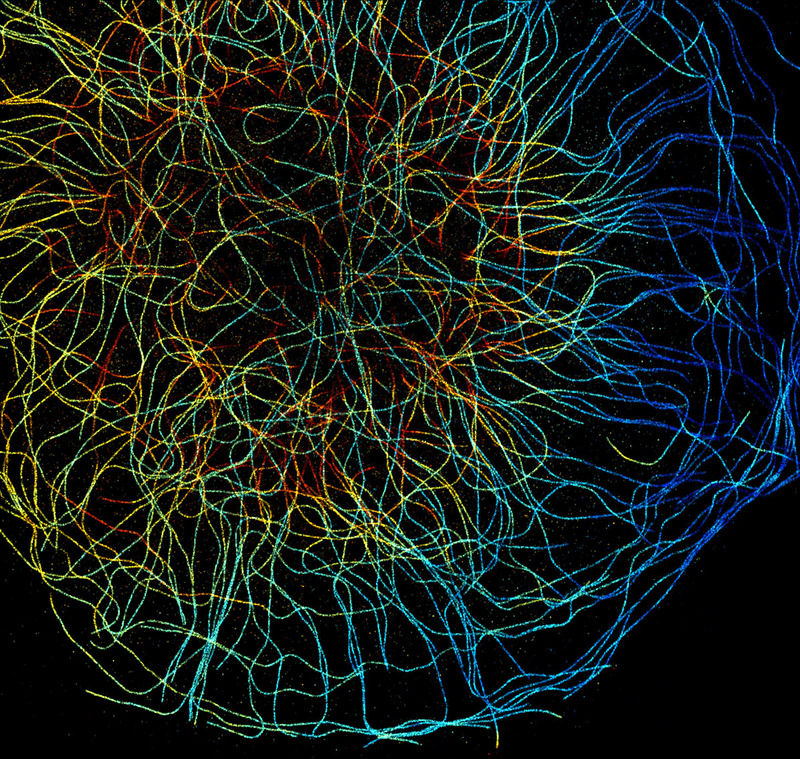 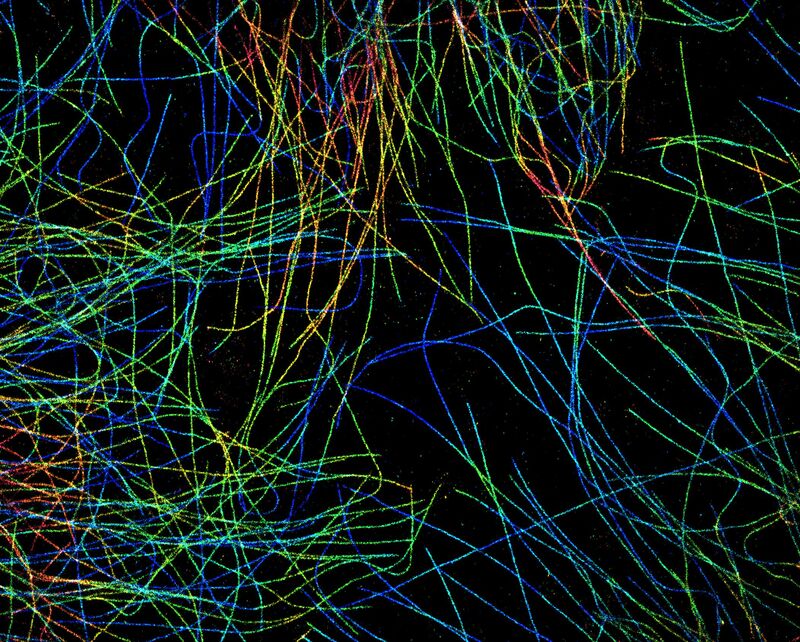 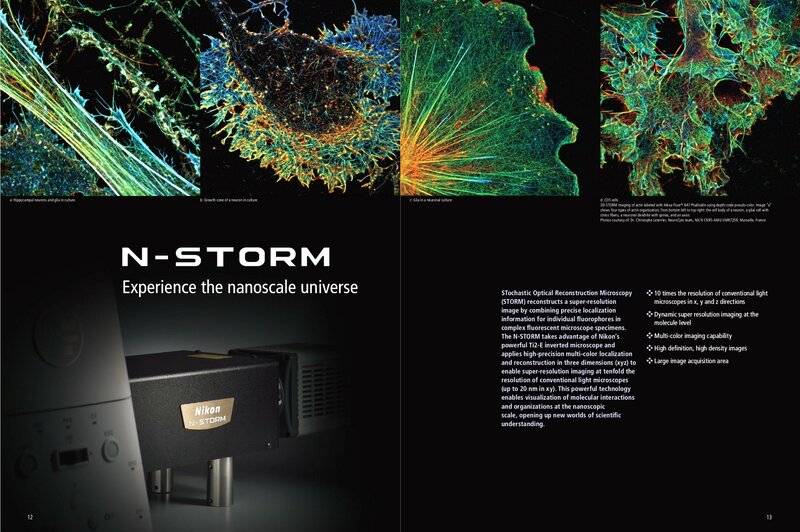 This gallery shows images from our experiments STORM or DNA-PAINT images from our experiments, taken using a Nikon N-STORM microscope. 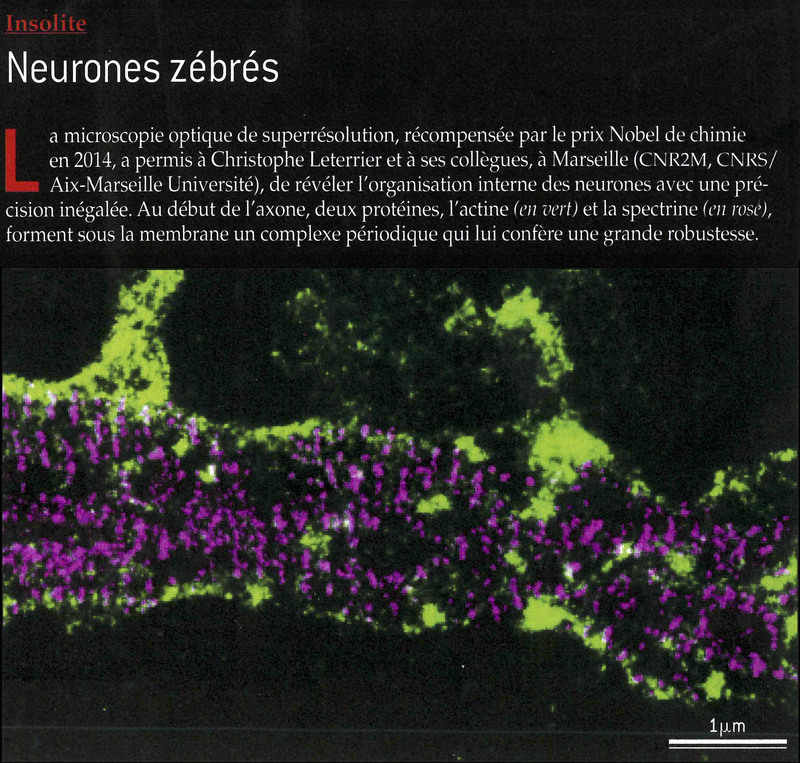 All rights reserved – please contact Christophe Leterrier if you want to use one of these images.